With US stock valuations at their highest level since the technology bubble, To believes the S&P500 will change little, or even fall next year. As such, he doesn’t have a particularly strong conviction on picking any turnaround US stocks. Gold Bars 1000 grams. Concept of wealth and reserve. In lieu of a stock pick, his candidate for the investment with the most turnaround potential in 2017 is gold. Using the SPDR Gold Trust ETF, gold is up 7% this year. However, the yellow metal has fallen an annualized 3% and 7% over the past three and five years, respectively. 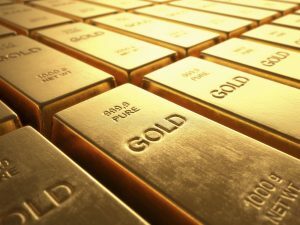 After enduring a bear market since peaking at around $1,900 in September 2011, To believes gold bottomed at $1,050 in December 2015 and is now in a sustained uptrend. To discusses the three reasons why he likes gold at the current price of $1,150 an ounce: Inflationary US and Chinese policies will result in speculative fund flows into gold; Chinese and Indian jewelry demand will recover in 2017; and speculative inflows into the SPDR Gold Trust have capitulated, suggesting a good entry point.